The 2017 PokerNewsCup is here! The event, which runs from Aug. 16-21, is a must-play if you're going to be at the King’s Casino in Rozvadov! This is the 11th edition of the PokerNews Cup, and the €200,000 guaranteed prize pool is the largest for the event in recent memory. In addition to the actual PokerNews Cup, King’s Casino is hosting 10 side events and its famous around-the-clock cash games. So if your quest to win the PokerNews Cup ends prematurely, you’ll have plenty of poker to play in the Czech Republic. One of those exciting side events is Open-Face Chinese Poker (OFC) on Aug. 20, giving players a unique tournament option that isn't normally found on schedules. 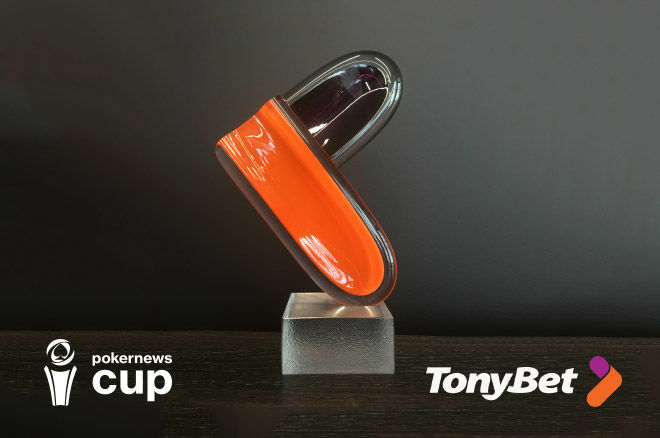 As the main partner of the PokerNews Cup, TonyBet will be presenting a unique trophy to the winner of this event as well as gifts to every participant. Check out the complete PokerNews Cup schedule here! The OFC event serves as a great lead-up to the TonyBet OFC World Championship, which is heading back to Prague in December after a one-year absence. The series features a a signature €10,000 buy-in High Roller and €1,000 World Championship events. You can prepare for these OFC events by testing your skills online at TonyBet. Those of you who do not already have a TonyBet account can download TonyBet via PokerNews and when you make a deposit using the bonus code "StarterPN," you will receive a 100 percent up to €2,000 welcome bonus, plus a free €10 tournament ticket. If you have already been sampling the delights of TonyBet but would like a boost to your bankroll, reload your account using the bonus code “PNCUP2000” and TonyBet will match your reload amount 100 percent up to €2,000. Team PokerNews will be in Rozvadov for the 2017 PokerNews Cup from Aug. 16-21. Will you be joining us there?